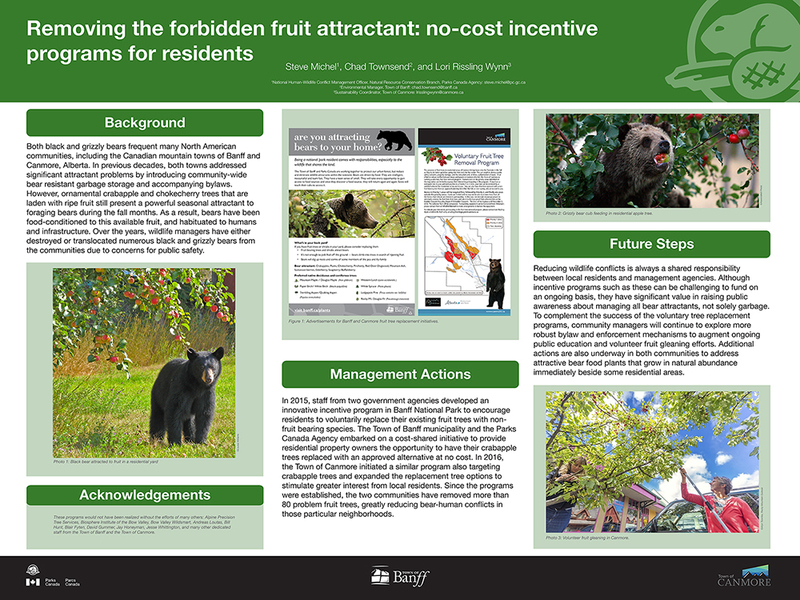 An incentive program to remove fruit trees in Banff and replace them with native, non-fruit bearing trees at no cost to homeowners has been offered when funding is available. 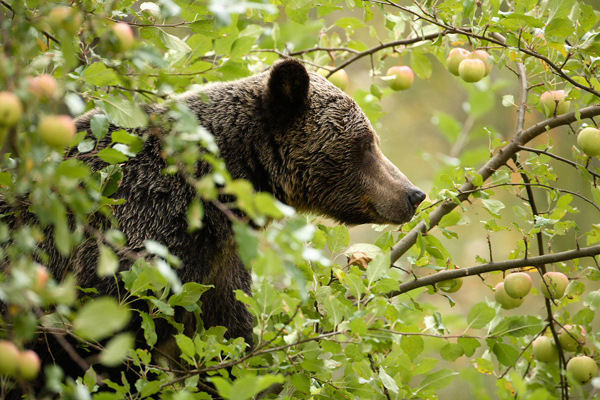 This project, a partnership between the Town of Banff and Parks Canada, aims to reduce the number of wildlife attractants in town while maintaining and protecting our urban forest. This program began in 2015 to remove crabapple trees and was then expanded to all fruit bearing trees. In 2015, 15 properties participated and 21 trees were replanted. In 2017, 6 properties participated and 7 fruit bearing trees were removed.